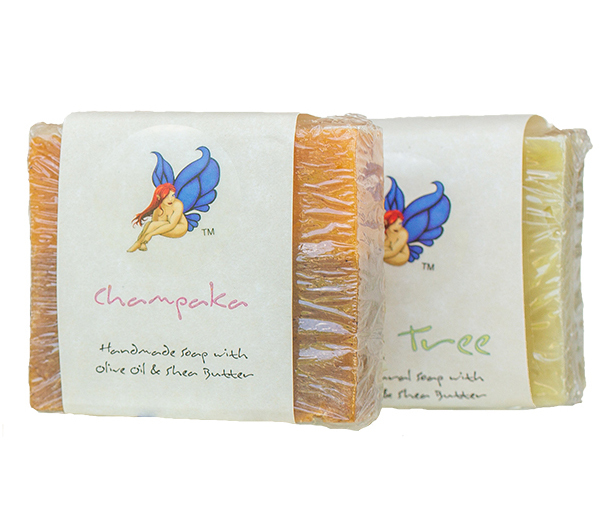 Our tea tree oil soap contains two “Melaleucas”, Australian Tea Tree and Cajeput. Being of the “Melaleuca” genus, they both, arguably, have similar properties, though the more well know essential oil is “Australian Tea Tree” essential oil. Most people know “Melaleucas” (tea tree oil genus)as great anti bacterial agents, great for acne, fighting fungus, etc. Cajeput has a bit more “woodsy” smell to it, similar Eucalyptus but a touch less “camphorous”. We put generous portions of both oils in this bar for a fantastic duo of goodies (yes this is soap, not medicine, so study/decide for yourself the benefits of tea tree oil).